Are You Over Thinking Office Comfort? Getting comfortable at work is a challenge. You have to focus on good posture habits, taking short breaks, and much more. That being said, you might just be overthinking the process a bit. Today on the blog we'll highlight tips, tricks, and product suggestions to help you simplify the process. Posture tips are hard to remember, especially during busy work day. If you're overthinking your posture, the odds are productivity levels are suffering. To avoid this common problem, make yourself a tip chart that can be posted within eye sight of your computer screen. Rather than remembering every little tip, you'll be able to see them. They'll stay fresh in your mind while working at your office desk and your posture will rapidly improve. Recent studies have proven it! At the top of your posture tip chart you'll want to write "Keep Back In Contact With Chair At All Times". Don't over think it! Make it a habit. 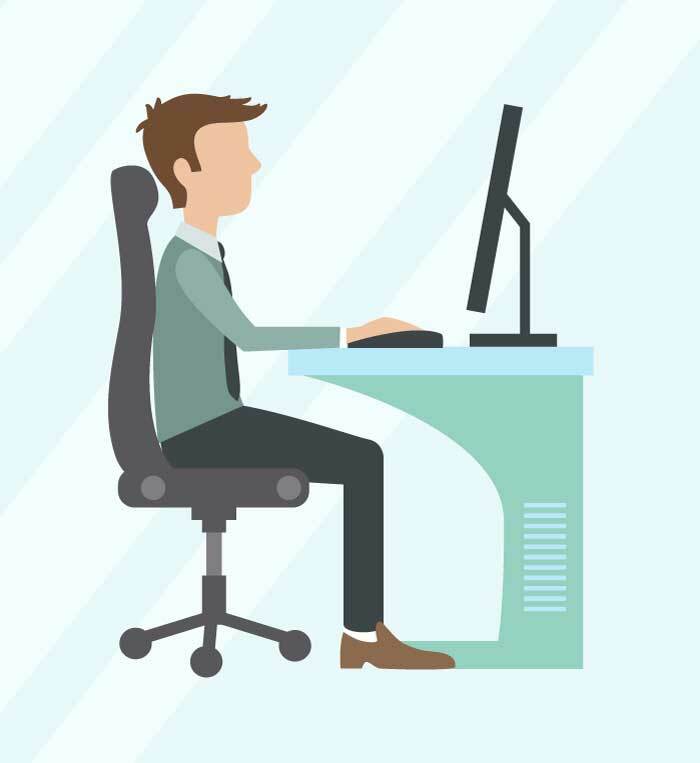 Each time you lean away from your chair, you're missing out on the essential support needed to operate comfortably over the duration of your work day. 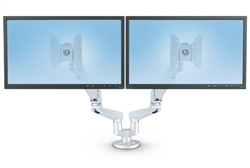 You'll also want to synchronize your chair and workstation. If properly done, you'll only have to do it once. Start by raising your chair to a level that ensures your feet are able to be placed flat on the ground and facing forward. Over thinking your chair height is a no-no. Just keep it simple. Take that top of the line ergonomic chair you invested in down to it's lowest level. Place your feet on the ground, then raise your chair to the most comfortable point that keeps your feet in the same position. This step can be tackled in less than 30 seconds. No headaches needed! Computer screens also need to be raised to eye level. When they're too low, you look down when working. When you look down, your neck suffers. The pros will recommend a computer screen mount with a wide range of adjustments. While helpful, if funds are tight you can just use a stack of magazines or a cardboard box to solve this common issue. No overthinking required. When it comes to selecting your office chair, don't overthink the features you need. Honestly, most of the standard features on high tech ergonomic chairs are fixtures on those half the price as well. The price difference is typically related to the brand name and upholstery used on the chair. 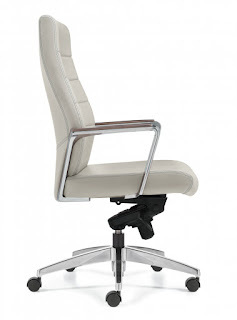 Just be sure to select a height adjustable task chair with adjustable arms. Tilting functions are nice, but they're seldom used. You don't have to break the bank to get a great office chair. Just focus on the features that'll be used the most throughout the day. Getting comfortable should be simple. Many of today's healthcare professionals will have you thinking you need every ergonomic office accessory available on the market to work efficiently. This is far from the case. You need to set your office space up for YOU! Analyze your personal areas of discomfort, and research the products needed to solve them. Only integrate one new product at a time to ensure you properly understand it's features and benefits. Once you've solved one comfort related issue, move on to the next. They don't have to all be resolved at once. In truth, most can be fixed with proper posture and taking short breaks throughout the day. Overthinking will have you questioning your sit and everything about your effectiveness. 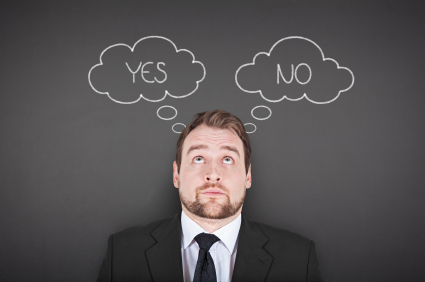 Even with all the best intentions, over thinking your office comfit will likely lead to negative results. Simplify to ergo-fy!! 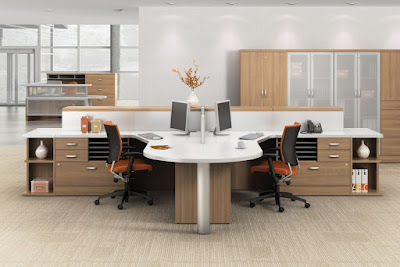 Office Design 101: Get Inspired And Don't Look Back! Before tackling an office makeover of any size, you need a little design inspiration! Once inspired, there's no turning back. Don't second guess your great ideas and plans. 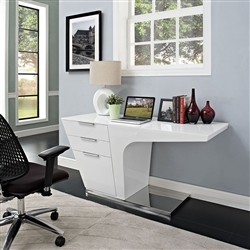 Instead, run with them to create the workspace of your dreams. By working with industry professionals and researching the hottest trends you'll find yourself energized and excited to get the ball rolling. Use that momentum to your advantage! 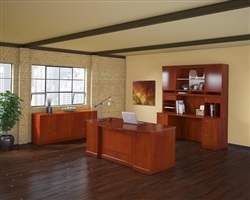 Getting inspired for an office remodeling project is easier said than done. Most are left wondering where to start. But have no fear, we've got you covered. Start you inspiration quest on the world wide web. Social sharing sites like Pinterest and Instagram are invaluable. You can also turn to good old Google. 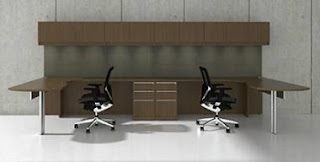 Hot design trends currently dominating the start of 2017 include the use of industrial metal office desks, costal inspired finish options like gray, and modular open concept furniture lines that promote collaboration. Entering in key phrases like "coastal office interior" one the web with yield awesome inspiration results. To take things a step further, visit a local showroom and a few surrounding businesses. Keep your smart phone handy and take lot's of pics. When visiting a showroom in your area, don't be afraid to talk with the pros about additional trends and design ideas you might have overlooked. If they have product literature available, take it. Once you're back home, visit manufacturer websites to check out recently completed projects. They'll have you ready to rock your remodel in no time. Once you've had your fill of inspiration, it's time to get the ball rolling on your project. This means, you need to pull all your ideas together and select a design theme. Popular themes this year include coastal and modern. Check out the ultra cool Verde office desks from Cherryman if you're going this route. 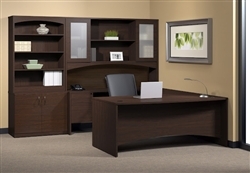 If these looks just aren't your thing, consider keeping your interior classy with wood veneer office furniture from a traditional collection like Sorrento from Mayline. It's always in style! Now that you've settled on a design theme, don't look back. Take that momentum and run with it. Visit a variety of furniture dealer websites to determine which will be the best fit for your project. Give your dealer of choice a call to discuss your makeover goals and timeline. 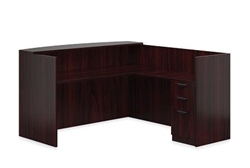 They'll provide awesome suggestions on popular office desk lines, finish options, and much more. In the long run, your office space should be used to showcase your personality and professionalism while boosting productivity. By sticking to your inspirations, you'll be far more likely to achieve these goals. Don't settle for hundreds of second guesses and too much input from outside critics. 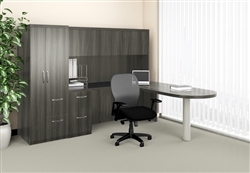 Make your office YOURS! When tackling an office makeover project, any interior design team and industry professional will tell you, modular just makes sense! Going with stationary furniture with little to no versatility will leave you feeling underwhelmed and seldom satisfied. To maximize your square footage and workplace potential, you need to commit to a modular design. Today we'll teach you how! First things first, space planning! Before you rush out and purchase furniture for the office in 2017, take the time to properly measure the area you're remodeling. Be sure to take note of all entry ways, power outlets, windows, and room obstructions that will affect they way your new items are situated. With accurate dimensions in hand, you'll need to research brands and product lines that follow today's modular standards. We recommend the big three. 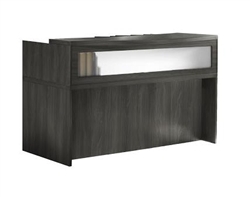 Global Total Office, Cherryman Industries, and Mayline all provide high quality modular office desk collections that will have your space up to date in no time. Global's Zira collection has become an industry favorite. It's customizable components, finish options, and modular versatility are unrivaled. 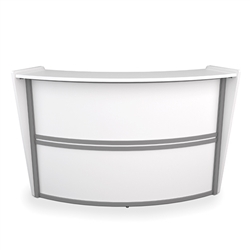 Going with the Zira line for your project is just plain smart. You'll be at no shortage of options to make your interiors stand out from the competition while boosting performance. Looking to go modern with your makeover? No problem! 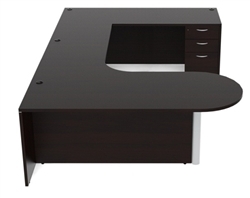 Check out the Cherryman Verde desk collection. 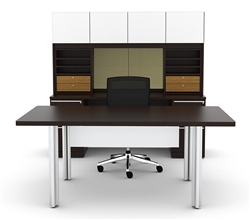 This line of modular executive stations, tables, and reception area solutions is an absolute winner in the workplace. With more than 20 layouts available, there's no doubt a Verde station out there for your specific needs and space requirements. 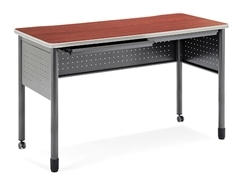 Verde's interchangeable components will allow you to grow your personal desk configuration into a multi user workstation. Talk about budget friendly! 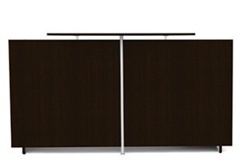 Last but not least, Mayline's e5 collection is a must consider for any modular based remodel. 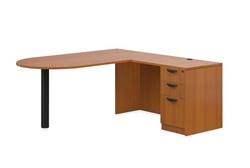 This advanced line of office furniture is the ideal option for businesses desiring an open concept feel. The Mayline e5 components can be used to create both single and group design configurations built for collaboration and team interaction. e5 boasts a modern industry vibe that will also earn you interiors an abundance of compliments. Once you've selected a furniture manufacturer and collection for your project, it's time to enlist the help of the pros. Top furniture providers are ready, willing, and able to turn your dimensions into a well rounded environment built for efficiency. They'll provide you with some awesome ideas on how to get the most bang for your buck. Going modular also makes sense in terms of price. If the budget is tight, you can outfit a smaller area, then add-on in the future. Yet again, purchasing non-modular desks that can't be expanded, moved, or enhanced proves to be an unwise furniture investment. 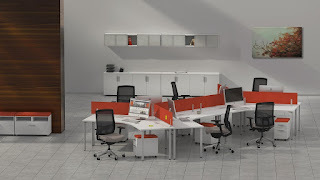 The benefits of modular office furniture are quite extensive. Today's top lines are even available with surface level power options that will help streamline daily activities. 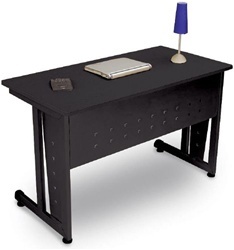 No more venturing under the desk to track down power outlets and USB ports is needed. 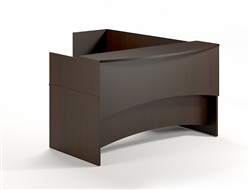 In the long run, the design and furniture you choose will say a lot about your business and it's personality. If you want an up to date modern space that's ready for the demands of any work day, going modular is a must. We're kicking off 2017 with a bang! 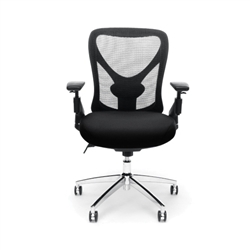 We've got awesome office chairs on sale for conference room, executive office, and professional tasking applications to help help our shoppers get comfortable without breaking the bank. 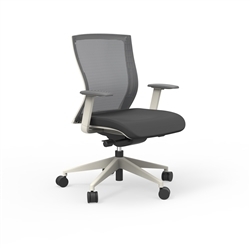 These cool new office chairs from Mayline, Global Total Office, and Woodstock Marketing all include free shipping for added value. As an added bonus, we've added a list of our active coupons at the bottom of today's post. Happy New Year! 1.) 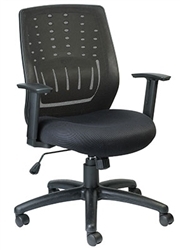 Mayline C1BB Commute Mesh Back Swivel Chair - $335.99 + FREE Shipping! 2.) 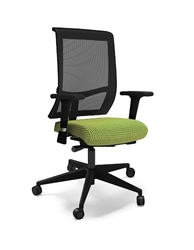 Global 8457 Solar Mesh Conference Chair - $415.99 + FREE Shipping! 3.) 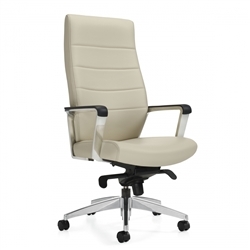 Woodstock Marketing Joplin High Back Ribbed Conference Chair - $299.00 + FREE Shipping! 4.) 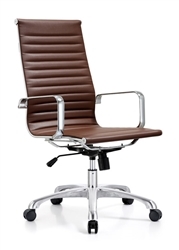 Woodstock Marketing Hendrix Mid Back Conference Chair - $295.00 + FREE Shipping! 5.) 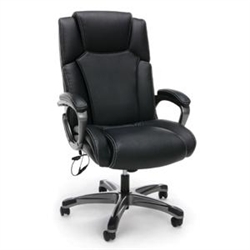 Offices To Go 11858B Executive Chair - $188.99 + FREE Shipping! 6.) 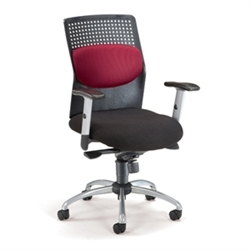 Offices To Go Custom Task Chair 3103 - $317.99 + FREE Shipping! 7.) iDesk 404W Oroblanco Mid Back Office Chair - $299.99 + FREE Shipping! 8.) OFM 651 AirFlo Office Chair - $189.99 + FREE Shipping! 9.) 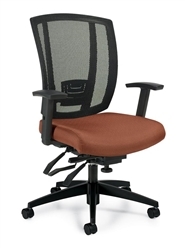 OFM 580 High Back Executive Mesh Chair - $298.99 + FREE Shipping! 10.) 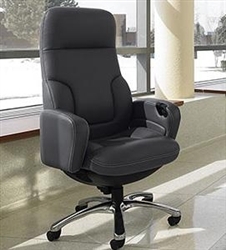 Eurotech MT8500 Stingray Task Chair - $165.00 + FREE Shipping! 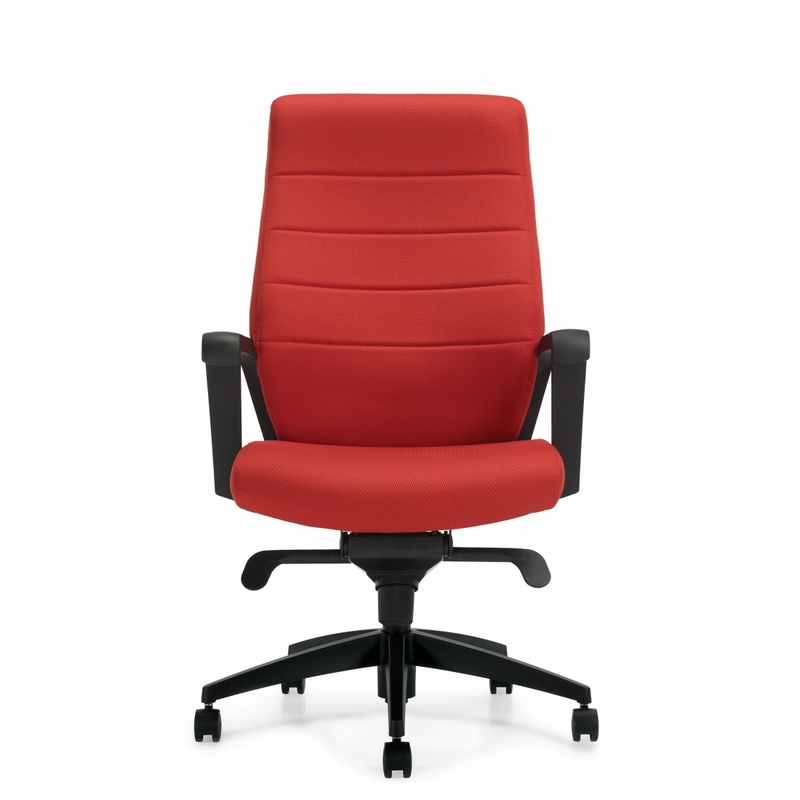 Warm Up Your Office This Winter With A Heated Chair from OFM! The team at OFM never fails to impress. This industry leader has rocked the seating world yet again with their all new Essentials collection. The Essentials chair line offers an plethora of cool options perfect for just about any occasion or project imaginable. This season, popular models like the ESS-6035M are warming up those chilly interiors with their heated seats and unrivaled appeal! 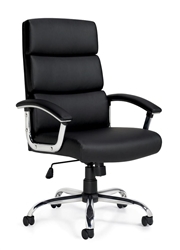 At first glance, the ESS-6035M is just another cool black leather executive chair. While great in and of itself, this sneaky swiveler is far more. Behind it's modern disguise is a heated seat that will keep you feeling nice and toasty while computing at your desk throughout the winter. The heated seat alone is enough to push most shoppers over the edge. That being said, the ESS-6035M also boasts a Shiatsu massage feature to keep it's users feeling supremely pampered. How nice would it be to flip a switch and enjoy a HEATED MASSAGE at your leisure throughout the work day? Talk about stress relief! 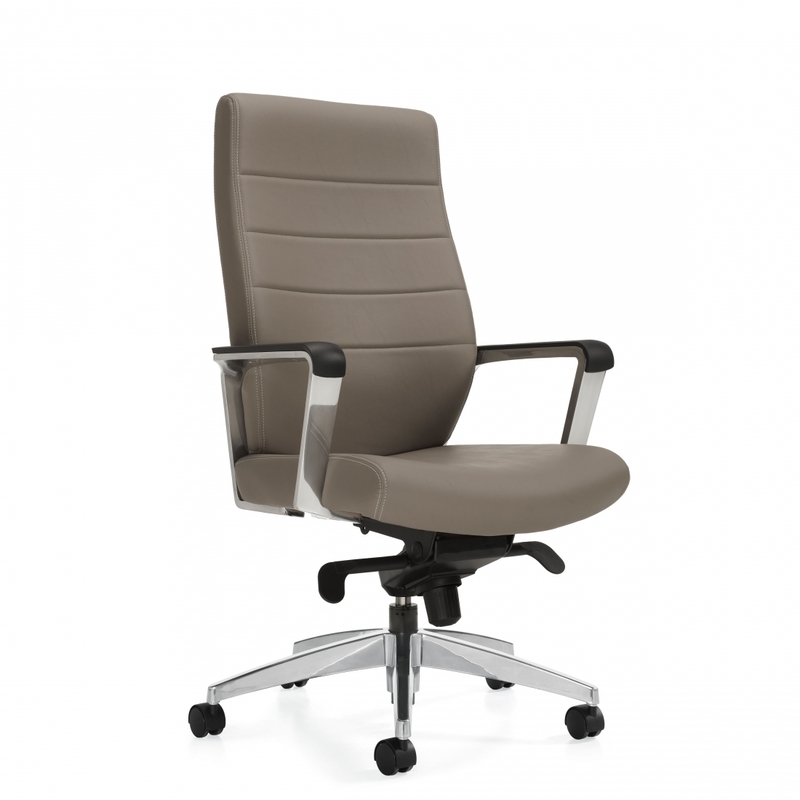 OFM believes that not all office chairs are created equal. Their advanced seating solutions from the Essentials collection are second to none in terms of value and quality. 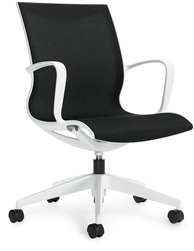 You'll likely be as surprised as we were to find that this particular OFM executive chair costs just $249.99. Heated seat and shiatsu massage aside, the ESS-6035 is still loaded with features not found on chairs priced three times as much. The SoftThread leather upholstery provides a smooth feel. The pliable chair surfaces are upscale, durable, and easy to wipe clean when needed. 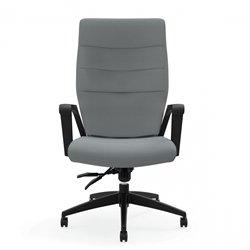 In addition, the ESS-6035 heated office chair with shiatsu massage boasts a multi functional ergonomic operating mechanism. 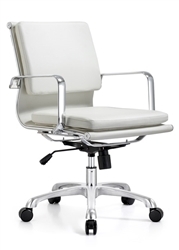 The center-tilt and tilt-tension control work together to help users achieve posture perfect operating positions. If you're the hunt for a new office chair for the home or business, the ESS-6035 would be worth considering even if it didn't have a heated massage feature. All things considered, it's hard to give this new chair from the OFM Essentials anything other than a 5 star rating. The ESS-6035 is built to withstand the modern work day while keeping it's users operating at peak performance levels. In terms of price and functionality, this cool new chair might just be the best in the business.